It's been an incredible run for virtual machines, and VM architecture will live on for many use cases and legacy applications. But let's face it: Containers spell big trouble for VMs, and in 2019, enterprises are going to be actively pursuing strategies to deploy new containerized workloads on bare metal. They're going to do this to reduce virtual machine licensing costs as well as to improve performance and efficiency. Running containers on bare metal offers significant opportunities to reduce overall equipment footprint in the datacenter. 90% of all new applications will be microservices-based architectures: IDC recently predicted that by 2022, 90 percent of new enterprise applications will be microservices-based. Microservices and distributed computing is a fast track to the container stack and frameworks designed to run in hybrid cloud environments. Look no farther than Andreessen Horowitz's Peter Levine's explanation for why "virtualization as we know it can no longer keep up." Virtual machines are NOT a good place to run containers (containers are meant for bare metal! ): Contrary to VMworld troop- rallying fodder, a virtual machine is NOT the best place to run Kubernetes or containers. Bare metal is the best place to run Kubernetes and containers. Pick your reason -- economics, performance, management simplicity, smaller footprint. Let's take a closer look at VM sprawl: How much of enterprise VM infrastructure is being built to support virtual machines themselves? It's the dirty little secret that people are going to start talking about in 2019. Applications are not requiring any more CPU than they did 10 years ago, but the hypervisor and VM infrastructure keeps requiring more physical servers. I'll call it VM bloat. It's time to lose that weight! Tom Barton recently joined Diamanti as CEO. He has a 30 year history of executive leadership positions with Silicon Valley based technology companies and consulting organizations. Tom was COO at Planet Labs from late 2014 through early 2018, where he oversaw very rapid bookings and revenue growth, organizational expansion, and the successful launch of the largest constellation of imaging satellites in history. Tom is a co-founder and General Partner of Broken Arrow Venture Capital, a seed-stage investment fund. He was CEO of Rackable Systems from 2002 to 2007, and took the company public in 2005. 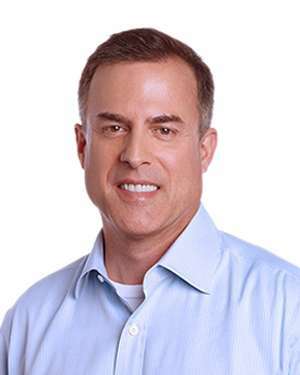 Previously Tom Tom was SVP of Client Services at Red Hat and held P&L responsibility for 2/3 of the company and before that he held a number of executive leadership positions at Cygnus Solutions, including Interim CEO. Tom also spent time at McKinsey management consulting in both the Washington DC and Silicon Valley offices, and worked at Andersen Consulting before it became Accenture. Tom holds a BS, AB, and MBA from Stanford University.